Happy Friday, this is Yolie with the for Team eBrush. I have a quick project to share with you today. 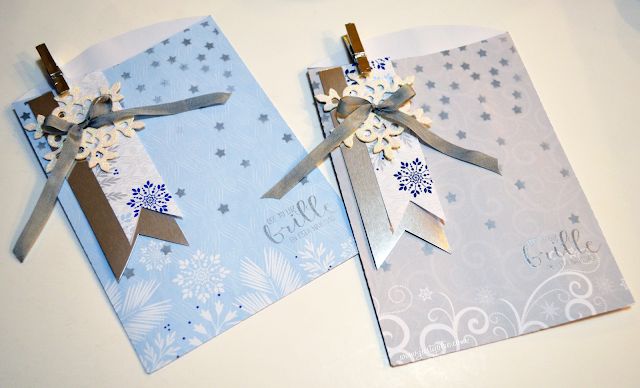 I made a couple of bag/envelopes for my sister. These are for Christmas cards that will be hand delivered. 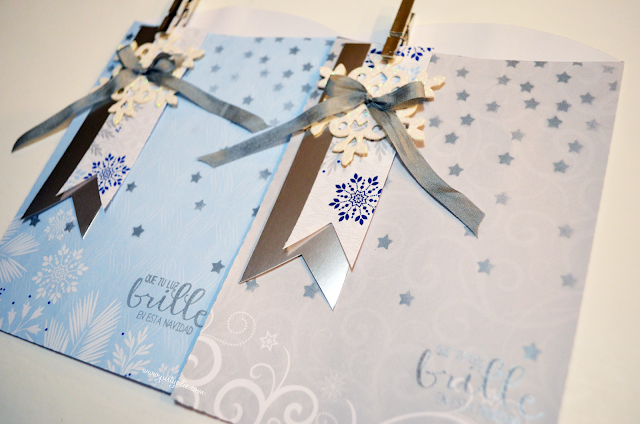 You will need Christmas paper, thinner weight paper works best. 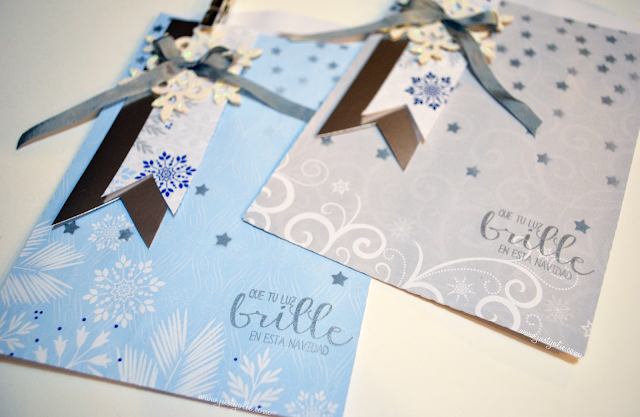 I used DCWV Holiday Letters, star stencil, ribbon, embellishments, stamps, silver metallic Sharpie and of course the eBrush. If you don't already own the eBrush, today is the last day to take advantage of the the epic sale on this amazing machine. The stencil was smaller than the bag, so I masked of the bottom and side. I also tucked a piece of scrap paper in the envelope to cover the inside of the envelope. I stamped the sentiment, "May your light shine bright this Christmas" by Latina Crafter with Delicata Silvery Shimmery pigment ink. The photos don't do it justice.